We first met Jack five years ago in I Am Jack, when, as an eight year old, Jack experienced bullying. In the years (and books) that have followed, Jack has endured his father leaving, dealt with the bullying at school, acquired a stepfather when his mum remarries and works out a relationship with stepbrother Leo. Now in Year 6, family and school life appears to have settled, with Jack enjoying his photography and sharing a love of surfing with Rob his stepfather. The bullying issue however, again raises its ugly head, this time directed at Jack’s friend Christopher and Jack is forced to relive his experience and find a solution to help his friend. When Jack and Christopher witness dirty play in a football scrum at school, they know that something must be done about the bullies once and for all. Bullying and unfair play are not Jack’s only concern though, as he is soon to turn thirteen and questions about why his father left and his lack of contact begin to niggle. How will he find a father who may not wish to be found? If he finds him, what effect will this have on his mum? 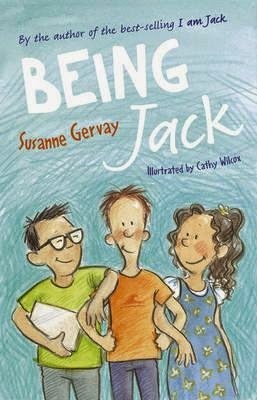 Susanne Gervay again has written a story that is heartfelt and honest. We feel Jack’s fear, his doubt and worries. The perfect ending to the series, we are left confident that Jack is resilient and confident to take on the challenges of adolescence. Suitable for children aged 9+ years.